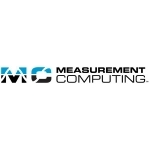 USB Data Acquisition Cards from Measurement Computing. Temperature Data Acquisition and Data Loggers: USB, Ethernet, Wireless from Measurement Computing. Selection of available products. If you require sensors, please talk to us.